Monster Hunter: World is an action role-playing game developed and published by Capcom. 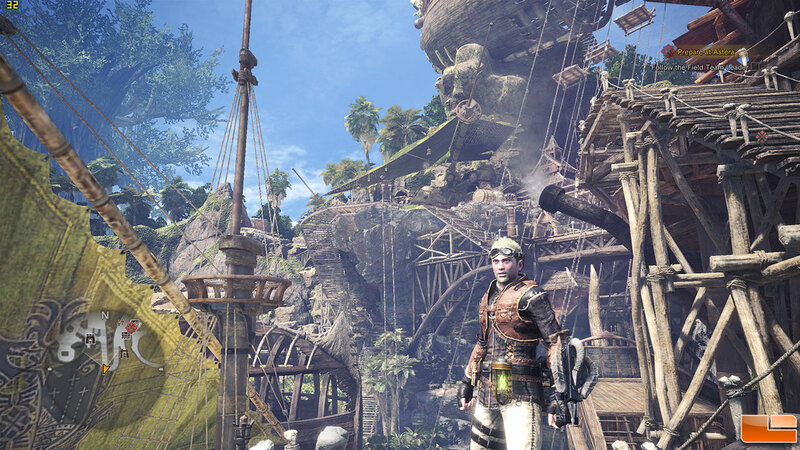 A part of the Monster Hunter series, it was released worldwide for PlayStation 4 and Xbox One in January 2018, with a Microsoft Windows version in August 2018. 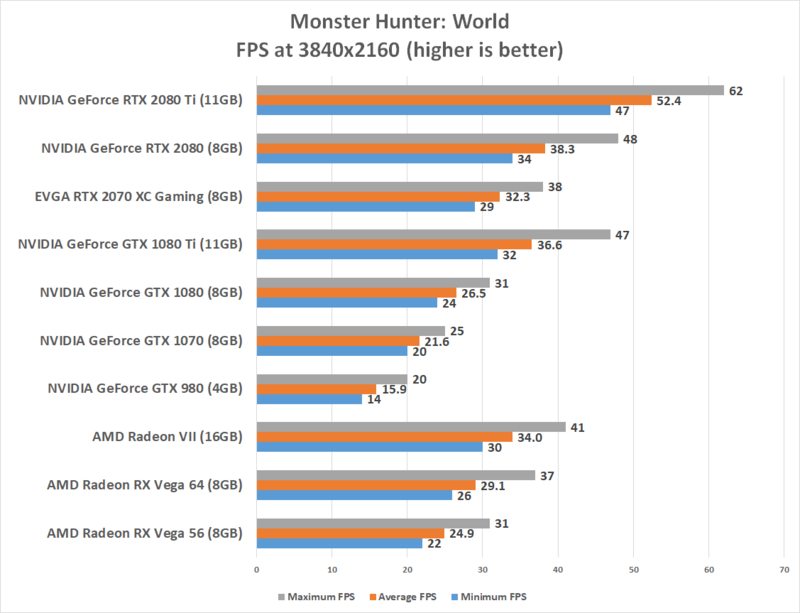 The game uses a modified version of Capcom’s internally developed MT Framework engine which provided a minimum of 30 frames per seconds on all platforms. 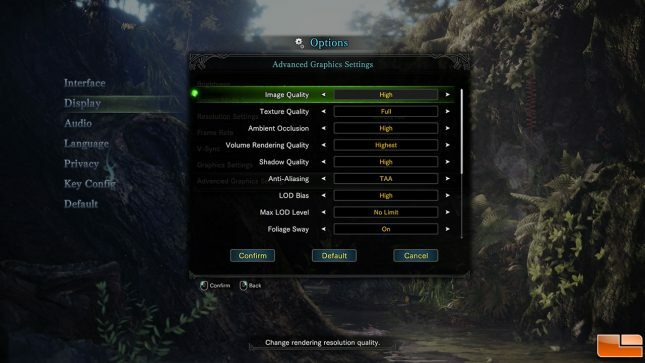 We used ‘high’ image quality settings and used FRAPS to manually benchmark a section of the game that was repeatable. 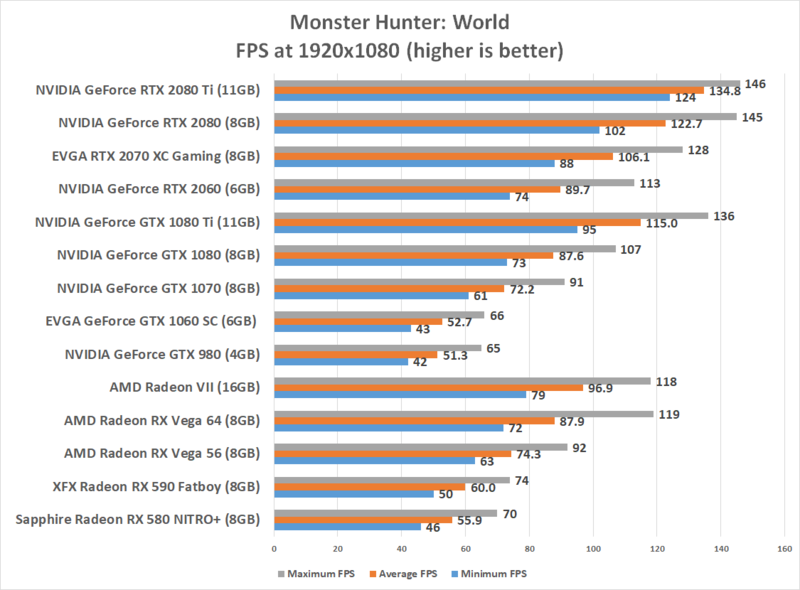 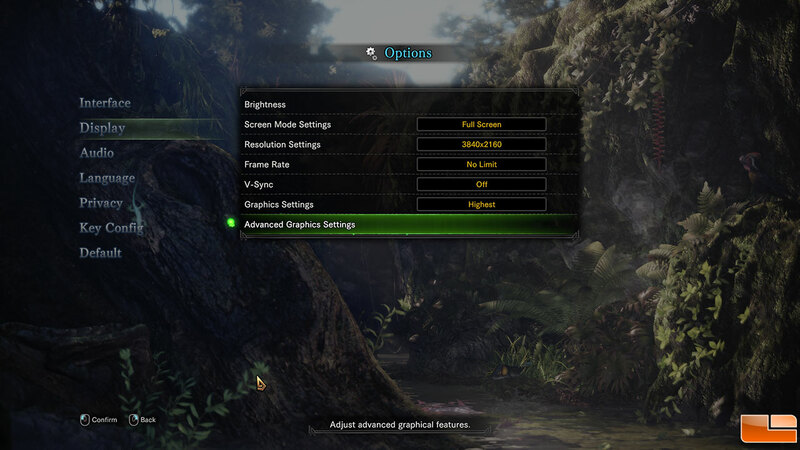 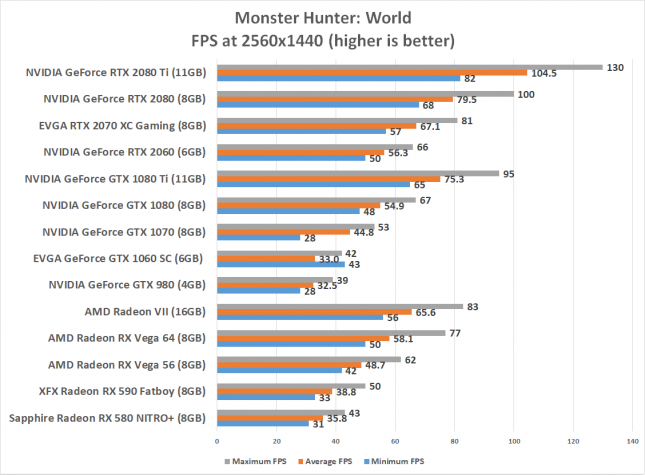 Benchmark Results: The AMD Radeon VII 16GB reference card was performing better than the RTX 2070, but was slightly behind the RTX 2080 in Monster Hunter: World. We were seeing a 17% improvement over the Radeon RX Vega 64 with Radeon VII on this game title at 4K.